With join.me chat you can send a direct message to someone in your meeting or the whole group. 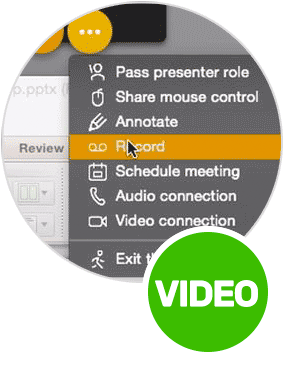 Watch the video below for instructions on how to use the chat feature during your meetings. 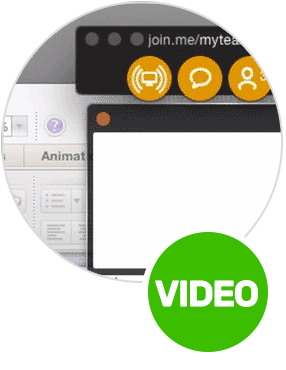 With join.me chat, you can send a direct message to someone in your meeting, or the whole group. To start, click the chat button on the desktop app. You’ll see a chat window pop up. From this window, you can send a message to everyone, or just one person. When you’ve selected the right person, just type your message in the chat box. The person you’re chatting with will see your message pop up on the bottom of their screen. 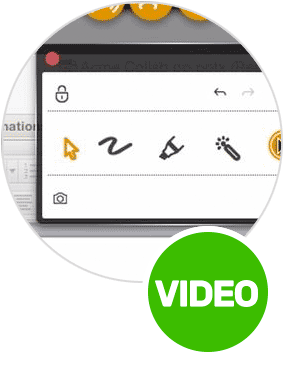 They will also see their chat icon on their toolbar appear active. You can close your chat window at any time, and still receive messages. You’ll see your messages pop up, and your chat icon appear active.